Today, is the age of smartphones and apps and you cannot deny the fact that if your services are not available in Google Play Store or Apple’s App Store or for that matter Windows Phone, then you are losing out on huge customers. Apps is the need of the hour and anybody who is trying to make a mark for themselves in the business world needs to be out with an app that will make the life of the consumers much more easier. If you have been thinking of painting your house for a long time, but due to some reason or the other, you are not able to do so, then with the help of this app you will be able to request for any kind of services at the drop of your hat. Download Zimmber App from Google Play Store. Why Zimmber app is the name to reckon? You can get the services of Zimmber app at any desired location of yours, but the only thing is that now at present, Zimmber is only available in Mumbai and Pune only. You can track your order along with several other details instantaneously. 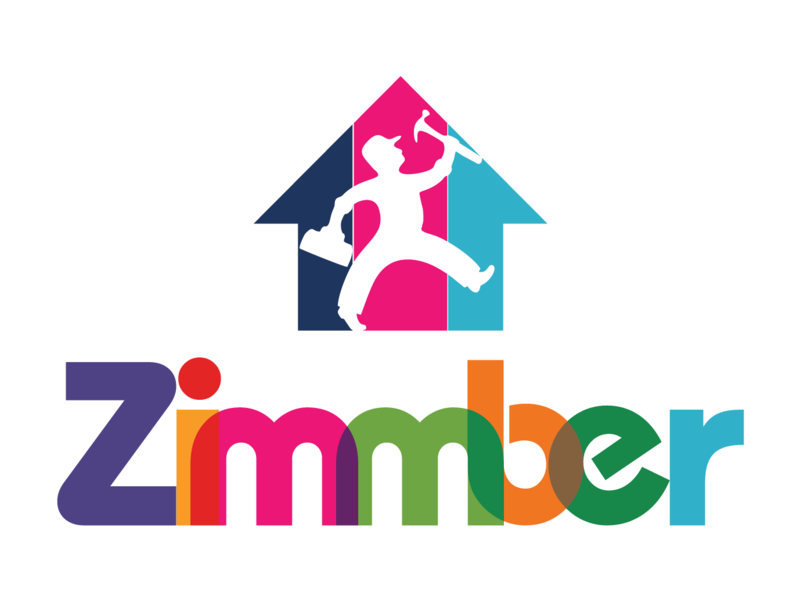 Zimmber app will provide the best of services at an affordable price. Lastly, make the payment and you are done. You will soon have your things fixed. The app is made for busy people like you who want to get things done quickly and effectively. Play store don’t have below 1 star option..if they have..i will definitely choose that…worst service ever.. don’t book their services..they will reshedule for a week…and after that they told you that they are unable to provide services.. don’t waste your time..it will just irritate you at the cost of your precious time.. They sent an inexperienced.totally novice people for ac installation. They could not even make elctrical connections,they cut the main ac cable and made a joint..seeing a this i had to call my own electrician and pay him as well to help these people.Finally the ac was installed.After 20 days the ac shows an alarm of air filter jamm which occured due to water logging in the ac..the installation people did not even level the ac on the frame propwely..due to ehich the water started getting accumulated in the ac..the new window ac.After i called zimbber which is now quickr easy +,they simoly said i cannot claim it now since more than 15 days have passed now and i have to book again and oay them again fir the damage their people made. Now i called a different vendore drom outside and he charged me another 500 bucks to reinstall the ac again and clean the water from inside. Pathetic service. Unprofessional. Juggad. They offered interior cleaning with shampoo, foam and steaming with dashboard polishing. Carpet and roof top cleaning with shampoo. 2 people came with some cleaning spray. When asked about steaming, the vendor gave a rude reply and saying that they wont do steaming and asked me to talk to zimmer. Since i was short of time i agreed to start cleaning when zimmber agreed to do steaming as its part of service. After cleaning was completed, i saw that only seat and door trim were cleaned with chemical and applied wax on dash board. Seats and panels was left with chemical drops and was sticky. dashboard was left with thick wax without any trace of polishing. Dirt, sand and hair are still there. When i asked them about the same, they told this is the best they can do. They cant do polishing and sand cant be removed . they didn’t even mind to clean the chemical drops left after cleaning. When called zimmber and complained the same, they refused the responsibility and they asked me to pay. I have to clean rest of dirt, chemical drops and wax Never get cheated bi them.